Finding a costume that will match your love for something can be a bit hard when that something turns out to be weed, but don’t worry, we’re here to help you with costume selection this year. Have you ever found yourself digging through a bunch of old and new clothes, trying to figure out what to wear for the next Halloween party? Store-bought costumes can get expensive, we all know that. So, it’s always a good idea to have something that you can put together in a minute and still be recognizable. That’s why we’re bringing you a number of ideas for costumes that you can easily put together with little-to-no additional shopping. If you’ve seen Friday, you already know what’s up. 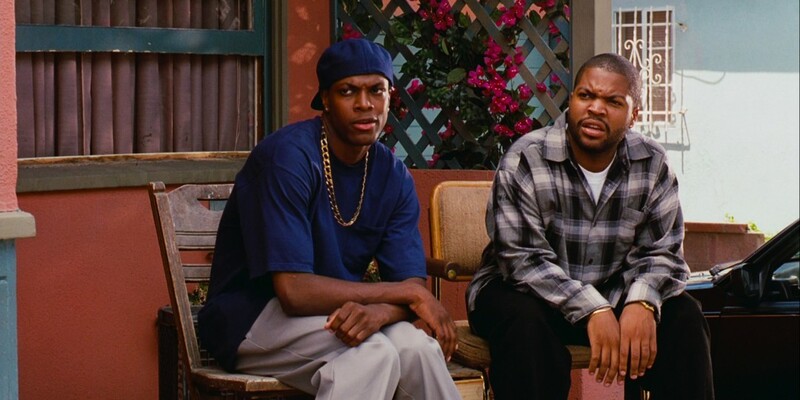 Smokey and Craig spend most of the movie dressed in the same damn clothes. Smokey wears a very long navy blue T-shirt and a pair of baggy light gray pants, and a baseball hat that’s the same color as the shirt. Oh, and don’t forget that trademark gold chain Debo is always after. On the other hand, Craig is seen throughout the movie in black pants and a checkered black-gray shirt, and a white T-shirt under. The legendary stoner duo boasts with two of the most recognizable pieces of stoner apparel. Cheech gained worldwide popularity because of his undying love for weed. He’s seen sporting a yellow wife-beater shirt and a pair of red suspenders to go with a red beanie as well. Also, the mustache. Don’t forget the mustache. Chong, on the other hand, is famous for the denim shirt-and-pants combo, along with a red bandana around his forehead. This stoner duo is known for selling weed to little kids and having a terrible taste in art. But, that’s not all. They make one of the best cases for the “easiest stoner costume” because of what they wear in most scenes. You can order both Jay’s and Silent Bob’s costumes on Amazon, or you can easily put them together yourself. The Dude is known for dressing like he just woke up and hopped out of bed. Whatever you see first, put it on. Socks are not obligatory because he wears sandals all the time. I strongly recommend you don’t wear this “costume” unless you live in California, Florida or some similar place with a warm climate. Also, make sure you have that semi-long goatee and sideburns halfway down your cheeks. 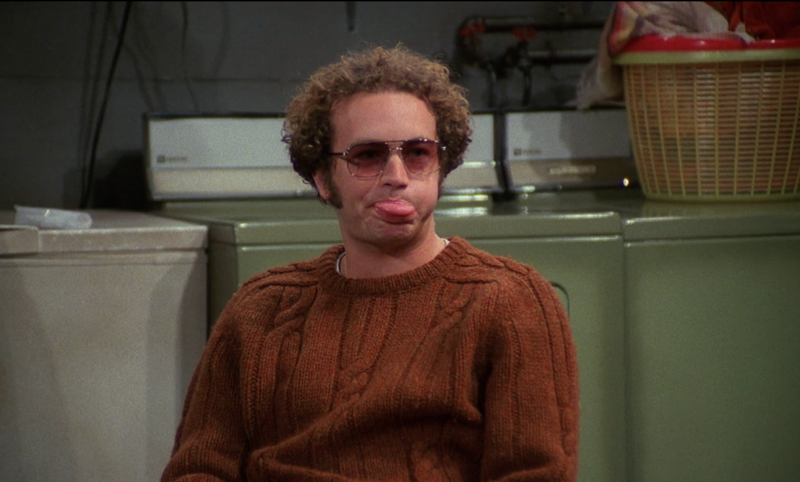 Steven Hyde is one of the characters from “That ’70s show” that occasionally smoked weed. In fact, Steven smoked more often than the rest of the basement squad. He’s known for sporting the (attempt at a) curly afro along with aviator shades and seriously thick sideburns. As for his apparel, he did change a lot of shirts and pants but the above-mentioned three made him one of the most memorable characters from the show. This one is for the girls mainly, but hey, if any of the guys are feeling like it — have at it. It’s pretty easy to put together a fairy weed mother costume. Buy a weed onesie, or a matching top and bottoms on Amazon, throw on some wings and a magic wand and you should be good. If you want to go for the extra mile in staying true to the costume, roll up a few blunts and pass them out as you walk through the party. Another 420-spin on a traditionally girly costume, since you’ll rarely see grown men wearing a full boy scout uniform. Again, if you want you can go the extra mile and pass out cookies. Double bonus points if they’re infused with the Girl Scout Cookie strain. However, you might want to consider throwing on a jacket or something if you plan on walking to the party. This costume was famously rocked by the Stark sisters a year ago, or so.